Are you looking for a dramatic Gothic T-Shirt? 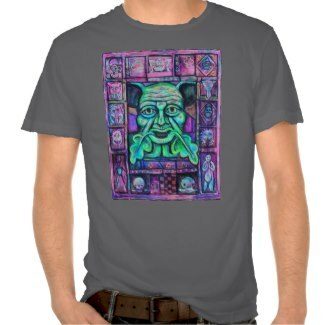 My Zazzle store includes many of Oliver Tadpole's striking designs, this page features spooky T-Shirts we have produced. These unique spooky t-shirts are not only suitable for Halloween, but will make great gifts for anyone with a Gothic turn of mind! The shirts can be customized too. 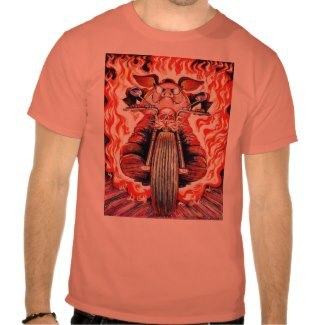 If you would like to see more Unique Gothic and Skull T-shirts, I hope you enjoy these! Intro image by Oliver Tadpole and used here with permission. All rights reserved. 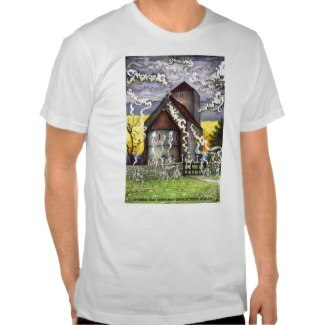 Featured on Zazzle, please feel free to look at our Halloween shirts and gifts. 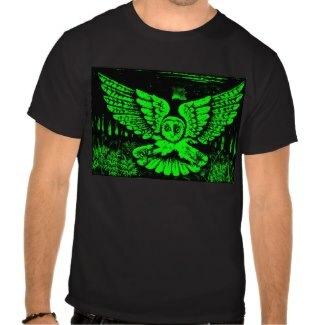 This spooky Screech Owl T-Shirt in dramatic Green and Black makes a superb Halloween gift. 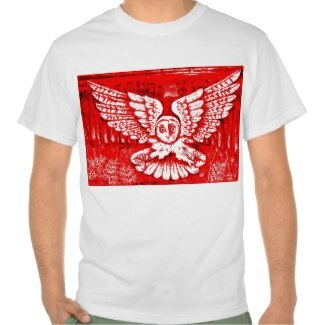 Comfortable and stylish Ringer T-shirt in red and white with blood red owl design! Funky Destroyed Gothic T-Shirts - That lived in Halloween T-Shirt look! Funny and Funky Green Frankenstein Tee Shirt. 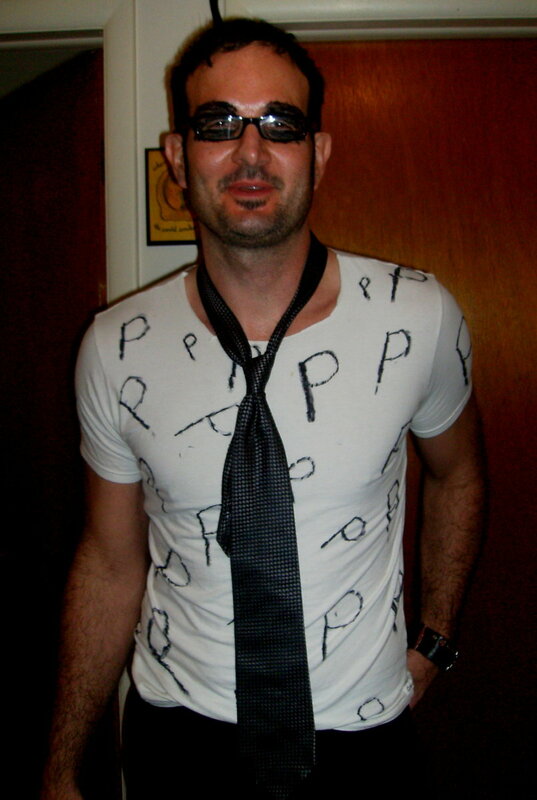 This Halloween T-Shirt in a funky destroyed fabric will delight as a gift. 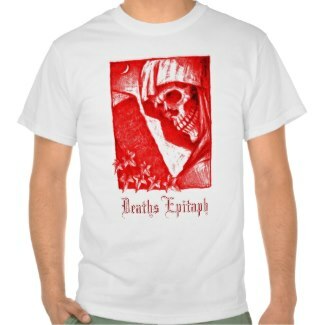 Death's Epitaph Halloween T-Shirt. Maroon on blue in destroyed fabric - a funky Halloween T-Shirt gift. 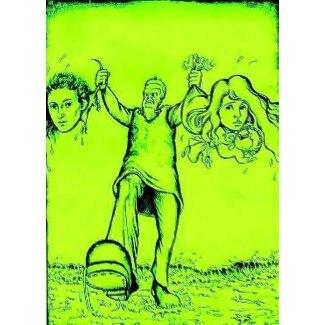 Green Man Halloween T-Shirt features a trendy Celtic influenced design by Oliver in vibrant colors. All sizes and patterns. Halloween and Gothic T-Shirts on Amazon - Use the search box to find the gothic tshirt design you need. 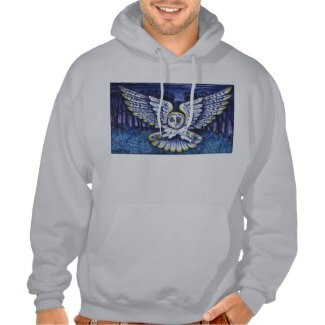 Grey Hoodie with full color owl illustration by Oliver Tadpole. 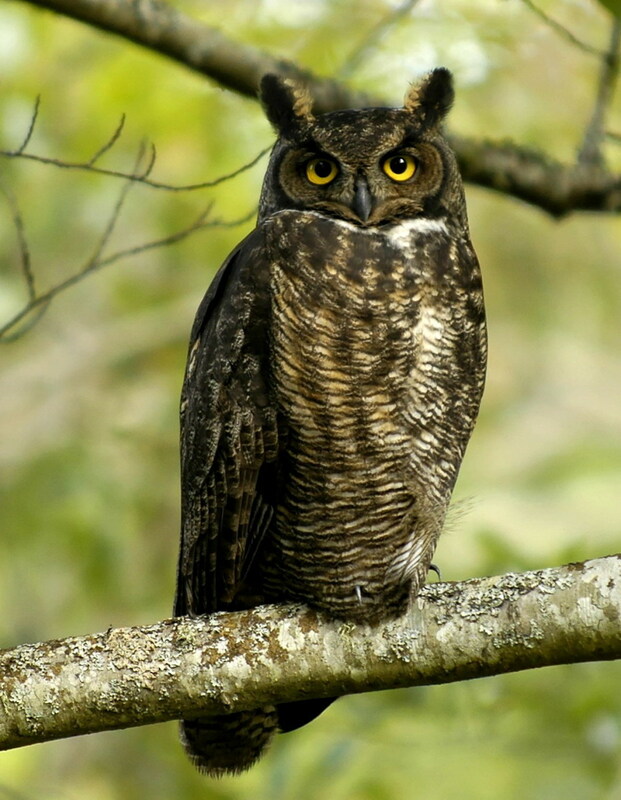 A great gift for owl lovers. 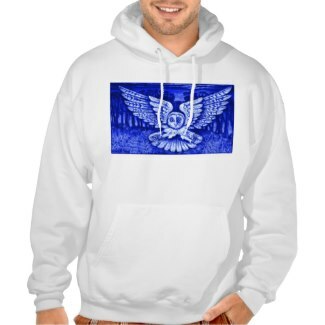 Warm white hoodie with a cool, dramatic blue owl motif. 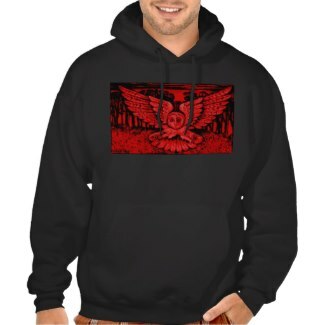 This comfortable hoodie sports a hot red and black screech owl design. 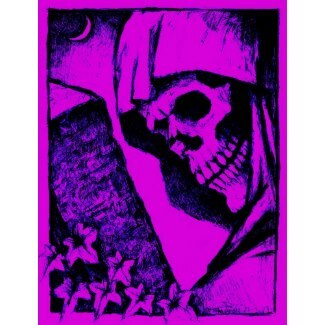 Be pretty AND scary with this Purple Death's Epitaph Halloween T-Shirt design from Oliver Tadpole at Persimew Designs. Striking green death head design on a warm black hoodie. Can be customised with name, message or greeting. Scary Hoodie with Purple Death's Epitaph Skeleton design features a dramatic image set to become a classic! 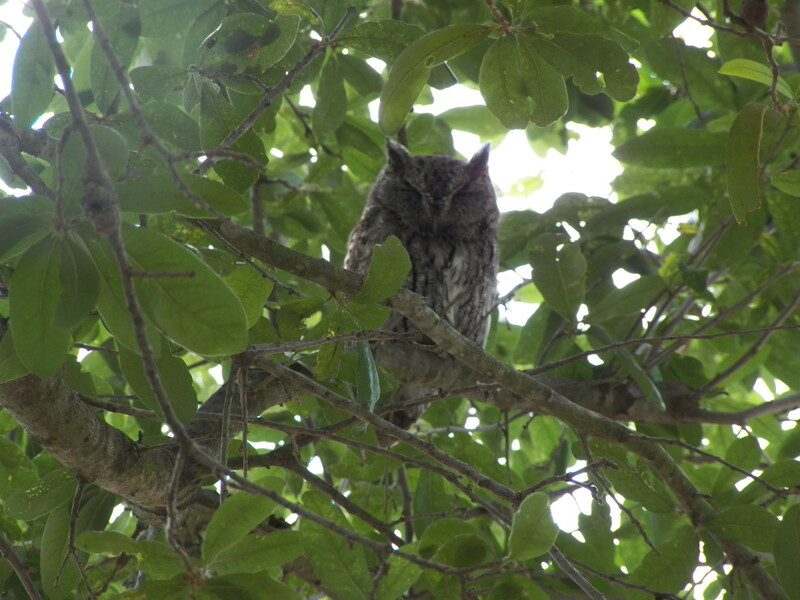 Gothic Screech Owl T-shirts for Ladies - Gothic Owl T-shirts available in Mens and Kids styles and sizes. 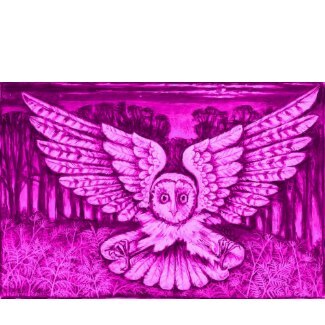 Soft and feminine pink T-shirt with dramatic screech owl in fuchsia. Also available in kids sizes. 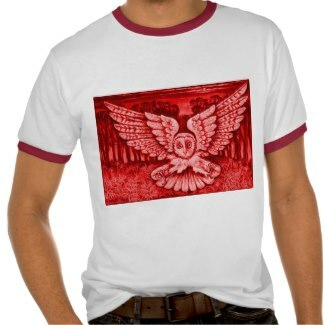 Soft and comfy casual look long sleeved shirt with full color screech owl design. Order two sizes up! Men's and Kid's styles also available. 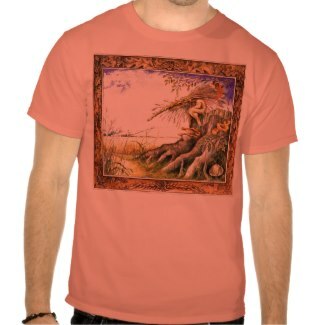 Pumpkin Orange halloween T-shirt with Tadpole's Spirit of the Corn design. Customize with name or greeting! 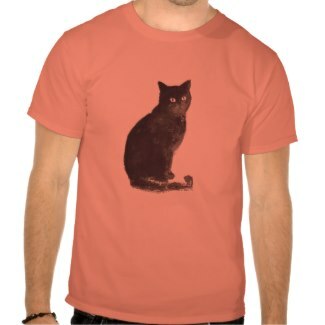 A cute black cat is waiting to bring you good luck on this customizeable halloween t-shirt by Oliver Tadpole. 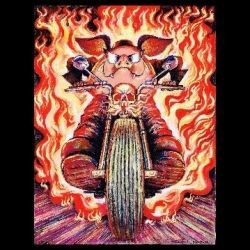 Ghost Rider Halloween T-Shirt featuring Oliver's Great Boars Afire pig on a motorbike! Customizewith name or greeting. 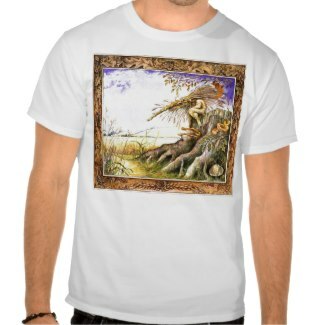 Not just for Halloween, this lovely whimsical elf design works best on white. Fully customizeable with name, greeting or message. 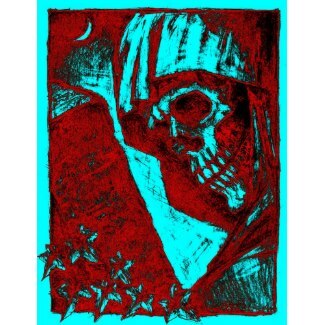 Deaths Epitaph Halloween T-shirt from Oliver Tadpole, a classic design shown best on a plain white fabric. 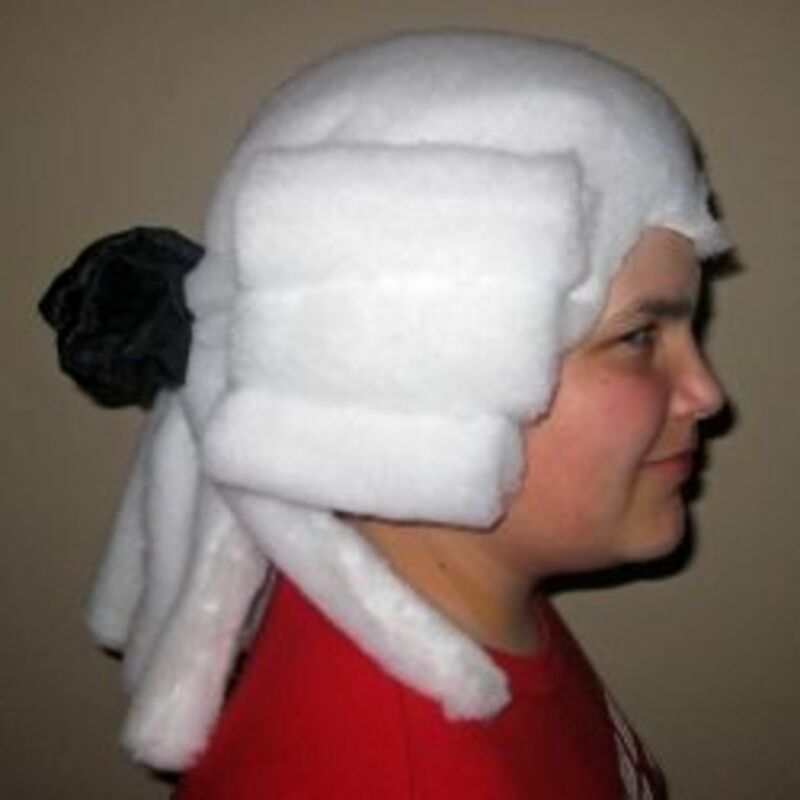 Customizeable. 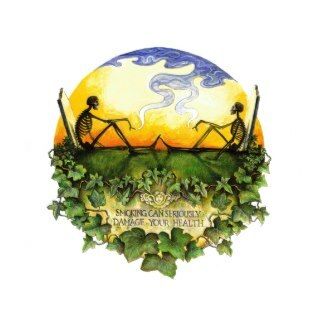 Smoking Skeletons Tee Shirt - originally created as a health poster, this design is fun and funky! Choose your own style. More Tadpole Designs for Halloween and other occasions - Bizarre Halloween T-Shirts to enjoy all year round! A cute, but slightly bizarre design for young ladies featuring two skeletons smoking in a graveyard. 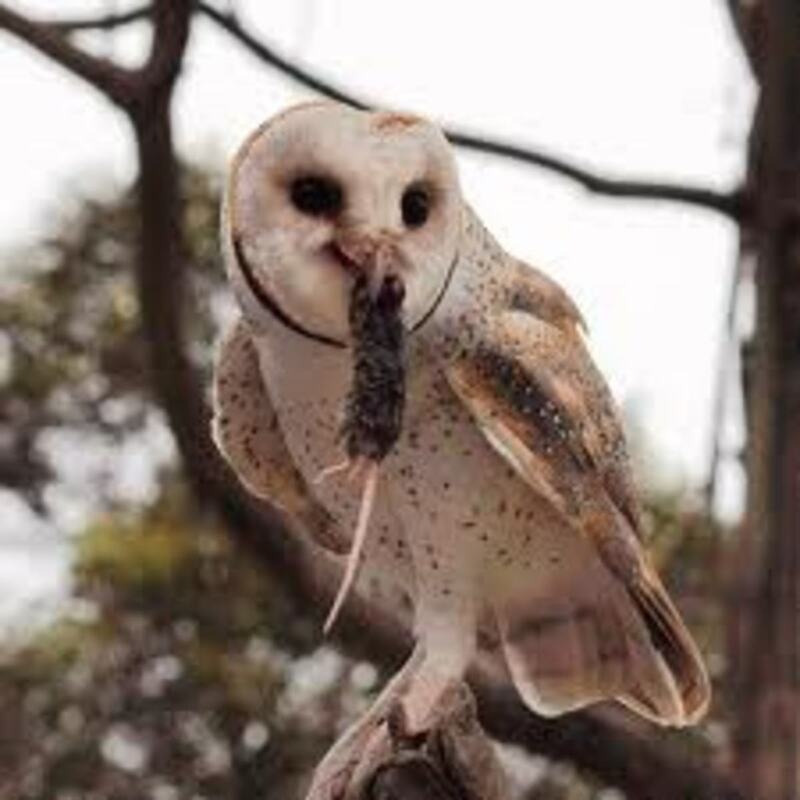 Smoking is BAD for you! Kooky image from Laetitia's Veil, companion to Oliver's bestselling Bellydancing Camel! 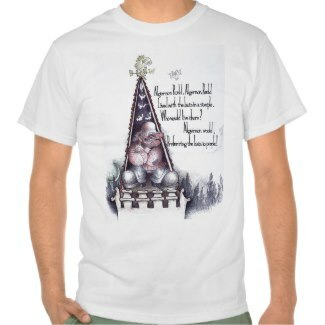 Algernon Rudd Halloween T-Shirt features a cute ogre in a steeple with batty friends! Tadpole's designs are intricate and quirky, finely executed and out of the ordinary. That is why I love to showcase them - they are unique. Thank you for looking and I hope you enjoyed them as much as I do! 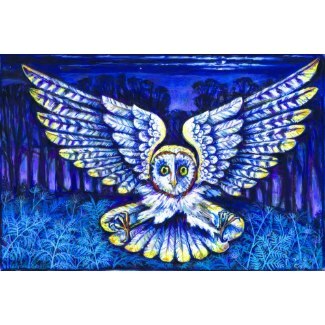 Thank you for looking at Tadpole's Halloween T-Shirts - I hope you will explore more of his work here and elsewhere. 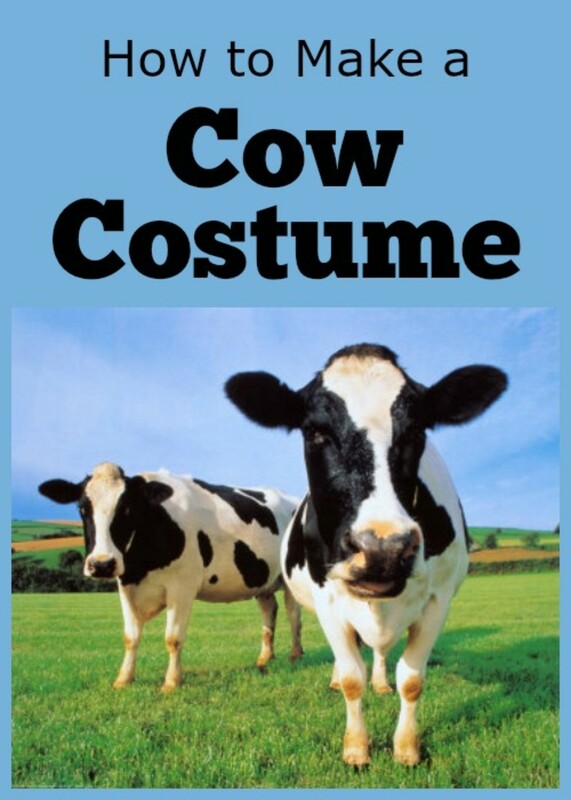 This is cool, I'm going to add it to my goth halloween party lens! Cute t-shirts am at a loss they are all amazing! 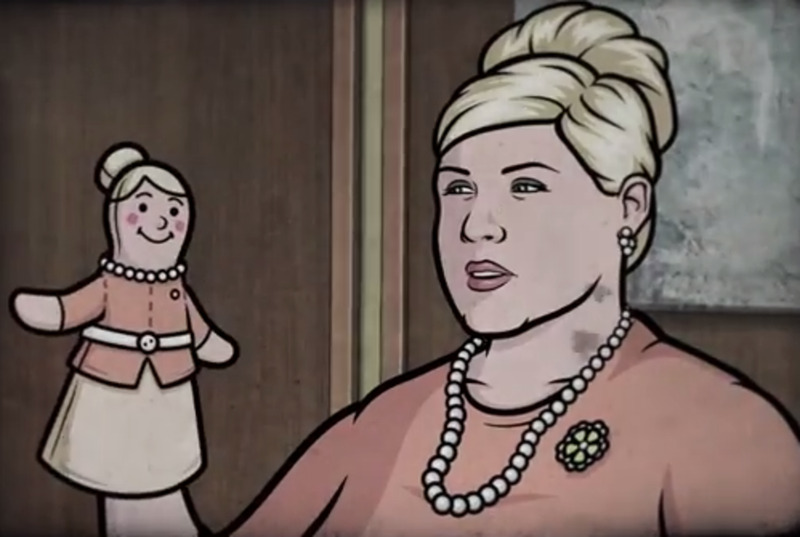 Ah, so many charming items -- can't pick just one. just earned a 'thumbs up' from me, enjoy!